Much controversy surrounds any cruise tipping guide. It is a fact that tipping has become a hot topic among cruisers. While some cruise lines have given up arbitrarily charging gratuities, others still do. This mixed bag of beans seems to have done just enough to confuse the issue of cruise gratuities even more. 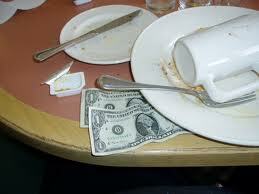 Similarly to visiting your favorite restaurants and leaving a service fee, tipping is a traditional part of cruising. As it is for the wait-staff at that restaurant, tipping is an important part of the income of those that help you on your cruise. There are many people who assist you on your cruise vacation, and passenger tips make up a very large percentage of their income. Many of these service industry employees rely heavily on their tips and are willing to reward generous tipping with outstanding service. Cruise lines vary in their cruise tipping guide provisions. Some suggest a particular daily gratuity rate, others provide passengers with envelopes, and some add a cover gratuity charge to your onboard account. *Airport skycaps generally are rewarded $1.00 for each bag, if they carry them. *Porters at the loading area of the Cruise ship also look forward to $1.00 for each bag. *Maitre d' - $2.00 to 10.00 per passenger for the entire cruise, depending on how helpful they have been. *Many bar and lounge tips are included on your bill at a standard 15%. You can generally adjust the amount for poor or excellent service. Check your individual bills to see if a tip has already been included. **You can expect to spend about $10-$15 a day in tips, so be sure to budget for that. Often, cruise ships will automatically tack on tips to your onboard account. You may consider asking that this amount be removed, and then take care of tipping yourself. Some veteran cruise passengers do this. Their rationale is that they want control of who gets what based on the service provided, etc. Cruising is great fun! You will lasting, memorable experiences. However, having control of what you spend onboard ship, such as cruise ship gratuities, is important to having a reasonably priced, luxurious vacation at sea. Take advantage of every bit of helpful information and be mindful of what you spend. Unless you have a limitless amount of cash to spend, some general tips and tricks can help. I hope this cruise tipping guide helps you and your family in some way. 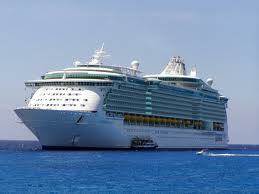 For further reading, see what some cruise ship gratuity rates are here - Cruise Gratuity Rate.